Thank you, Doris. So glad you stopped by for a look. Many stories hide in this photograph. Sadly so many or is that too many, stories, Janet! Oh what a good job you’ve done here! Thank you, Gilly. A lucky find that spoke volumes to, about, the world as I see it. There are so many sad and tragic world events that we should never forget … some by man; some by nature. This rough sign painted in a hurry during the riots in Toronto spoke to me in a big way. Thanks! 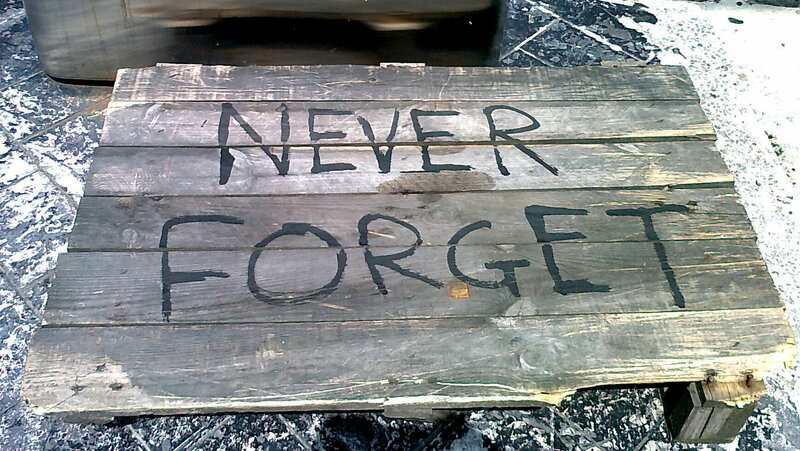 Found this makeshift sign abandoned on the sidewalk after the riots.